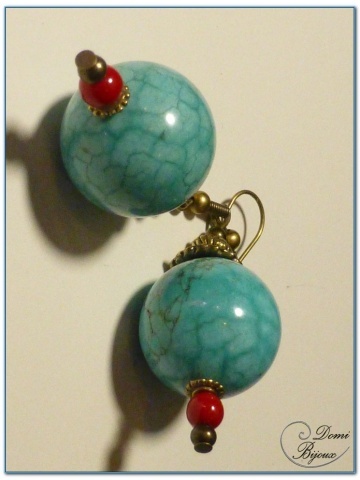 This fashion earrings bronze finish are made with two turquoise howlite pearls of 18 mm diameter. 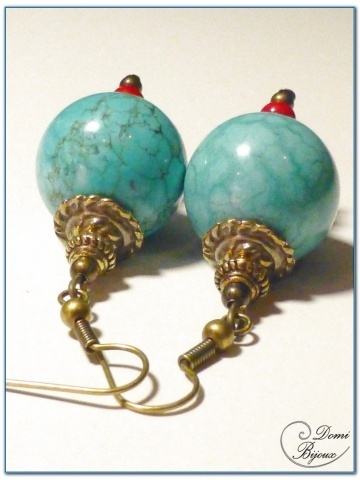 This pearls are mounted with bronze caps, bronze beads, and small cornaline pearls. Two bronze finish hooks complete this assembly. 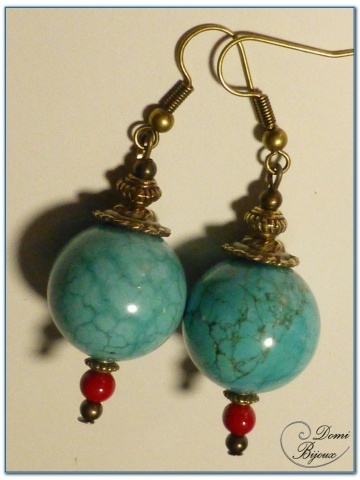 You will received this ethnics earrings in a cloth pouch, to store them carrefuly when you don't wear.